Join us in hearing from special guest speaker Texas State Representative Tan Parker, Chair of the Investments & Financial Services Committee and a member of the Redistricting and International Trade & Intergovernmental Affairs committees. Representative Parker has also announced he will run for Speaker of the House in the next legislative session in 2019. Currently in his sixth term, State Representative Tan Parker represents House District 63 that stretches across the bluebonnets of Flower Mound to the Texas Motor Speedway in Fort Worth to the horse county of Argyle. Initially elected to office in 2006, Parker is an effective champion for economic development, job creation, tax relief, appraisal reform, border security, and promoting fiscally responsible government spending. He is also known for his advocacy for children on a wide range of policy issues including improvements to the foster care system, a framework to support homeless teens, the crack-down on human trafficking, and the protection and welfare of children on a wide range of issues including abuse, wellness, and public safety. For the 85th Legislative Session, Parker was re-appointed as Chairman of the House Committee on Investments and Financial Services. 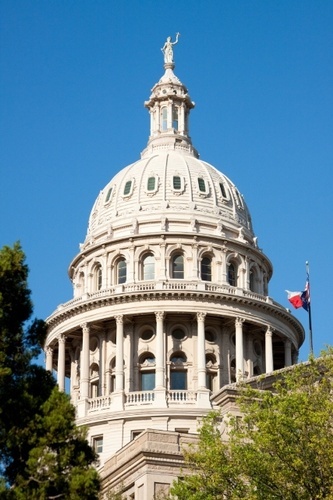 The committee has oversight over matters pertaining to the state banking system, savings and loan associations, the regulation of securities and investments, cybersecurity, and a number of other financial issues to keep Texas’ financial industry strong. In addition to this chairmanship, Parker was also appointed to the House Committees on International Trade and Intergovernmental Affairs and Redistricting. Parker was also re-elected by his House colleagues to serve as the Chairman of the House Republican Caucus, which represents all 95 Republican House members. In this capacity, he leads the overwhelming Republican majority by providing research, education, policy development, floor management, and other critical support to the Caucus members and their staff. Previously, Parker has served on House Committees with jurisdiction over: the state prison system, technological and economic development, Texas' fiscal policy, financial institutions, the delivery of social services, municipal operations, and other key issues facing Texas. Parker is a successful Texas businessman who spent his childhood growing up in the North Texas region and attended college at the University of Dallas as well as the London School of Economics. A lifelong conservative, he started in public service as a White House intern under President George H.W. Bush and began serving in state government as Governor Perry's appointed Chairman of the Texas Industrial Development Corporation, prior to being elected to the Legislature in 2006. Parker and his wife, Beth, whom he married 23 years ago, live in Flower Mound along with their two daughters, Lauren and Ashley.